Glassman, Wyatt, Tuttle & Cox, PC is pleased to announce that partner Todd Murrah has been rated “AV” by Martindale-Hubbell. 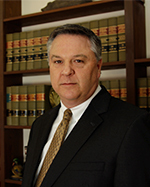 Mr. Murrah practices civil trial litigation in Tennessee, Mississippi, Arkansas and Alabama, and he is a licensed and registered Patent Attorney, who assists clients with both prosecution and litigation of patents, trademarks and copyrights. LexisNexis Martindale-Hubbell uses a specific practice area list in the review process to ensure that all lawyers are rated upon equivalent practice areas, regardless of how individual lawyers choose to articulate their area of expertise. This allows users of rating to compare and contrast lawyers with a specific area of practice. The LexisNexis Martindale-Hubbell area of practice list is based on user behavior, research on emerging areas of law, and other forms of legal research. LexisNexis Martindale-Hubbell updates the list regularly to reflect the changing needs of the legal industry. An AV® certification mark is a significant rating accomplishment – a testament to the fact that a lawyer’s peers rank him or her at the highest level of professional excellence. The Firm is truly honored that seven of its attorneys have received this honor. In all, over half of the Firm’s attorneys received either an AV or BV rating from Martindale-Hubbell. Glassman, Wyatt, Tuttle & Cox is a boutique law firm engaging only in civil trial litigation in courts primarily around the Mid-South, including in Tennessee, Arkansas, Mississippi, Kentucky and Alabama. Our lawyers focus their talents on helping clients achieve the best possible results in their trial and arbitration matters both inside and outside the courtroom. The firm is renowned for its ability to handle the most difficult legal situations with targeted and steadfast intensity. Representing clients on both sides of the docket gives us unique insights into what motivates our opponents in court and during settlement negotiations. With over forty years of experience in trying lawsuits and protecting our clients, we strive to act as reliable and trustworthy advocates for our clients, protecting them from legal harm or obtaining that to which they are legally entitled as necessary. We likewise endeavor to be valued by our clients not as mere counselors, but as trusted allies, sentinels and members of their professional family. We welcome the opportunity to serve our clients over the long-term on a regional capacity, using our firm’s resources to protect clients in multiple states.